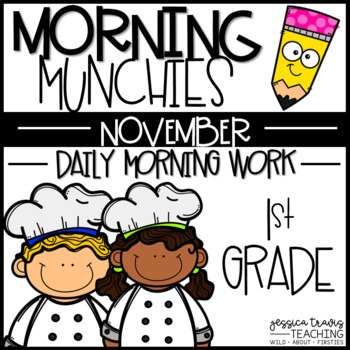 Do you need something for your kiddos to "munch" on in the morning? 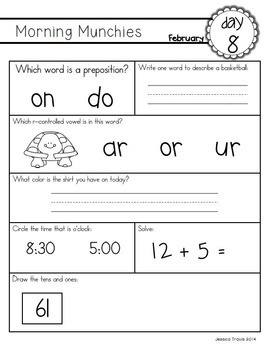 These activity sheets will be perfect as your students arrive each day. 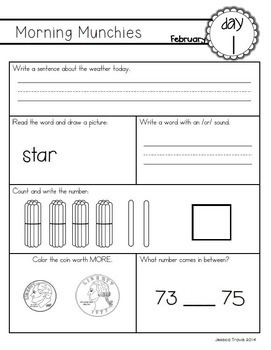 Each sheet includes multiple activities for both literacy and math. This packet is for November. This packet was designed with 1st grade in mind. Also included is a student cover sheet (in b/w for easy printing!) if you wish to create a monthly packet or folder for your students! Be sure to follow my store to receive notices for the future Morning Munchies!